Or more particularly let’s talk about the Republican party’s recent proposal to impose ‘border adjustments’ as a reform of their corporate tax system. To date this has passed me by. Slowly though things have percolated up to various feeds I follow. All talking about how Trump can balance the budget and punish companies that export jobs. The first I saw looked like a GST where imports are taxed and exports aren’t. Fair enough I thought if the US wants to impose import duties – ok but nothing to do with me. I do income tax not tariffs. I won’t be commenting. Good luck with the WTO on that. And our US tax treaty only covers federal income taxes not value added taxes so no issue there. Then I saw something that said it was income tax. Sales to foreigners wouldn’t be taxed and purchases from foreigners wouldn’t get deductions. And no interest deductions coz it was a cashflow tax. Whoa I thought – that’s odd. How do you deny interest deductions as they are a cashflow? And what about restricting deductions for local purchase costs when you aren’t taxing foreign income? How’s that going to work? But in that article Professor Alan Auerbach is talking positively about the proposals. Penny dropped. A few years ago Prof A came to New Zealand with some other academics and gave two presentations on destination taxation that I am embarrassed to say did not understand one word of. Awesome so that is what this is about and I will have to do some actual work to comment rather than accessing my increasingly failing tax memory. Having now done some work – that is I found the good professor’s 2010 paper and read it – I can see why I didn’t understand. It is a major change in how income tax systems work and so nothing really would have resonated. Now let’s see if I can paraphrase the 29 pages. Foreign borrowing and foreign lending – not respectively deductible or taxable. Wow just wow. So wish I had followed this when Prof A came out. I would have had soooo many questions. Tidies up the US treatment of foreign income and removes the incentive to move US income to havens because the US would tax it even less. Yep agreed. Treats debt and equity equally and removes the tax preference for debt. Yep does that too as while capital items are fully deductible the full amount that is borrowed – so long as it is borrowed domestically – is taxed. Not only originally US income could find its way back from abroad. So could most actual foreign income actually earned overseas – as Auerbach is proposing the US become the MacDaddy of tax havens. No deductions for foreign purchases but deductions for the same domestic purchase. Mmm what does that sound like? Ah discrimination according to the US/NZ treaty – is what it sounds like. Article 23(4) to be precise. Foreign purchases not deductible but domestic sales taxable. Mmm how long will it be before foreign subs start servicing the US market? Now that can be stopped if they reform their controlled foreign company (CFC ) rules – but a CFC is by definition foreign – and isn’t foreign stuff out. It can also be stopped through a reform of the permanent establishment rules as proposed by the OECD but isn’t that a nasty pinko Obama thing? Domestic borrowings fully taxable but foreign borrowings not. Too easy. Bye bye local banks. Hello City of London. There are other things like I am not at all sure that full deductibility for long lived assets is at all the right policy as it doesn’t match the decline in their economic life. So the longer lived the asset the greater the tax expenditure – because why? Is there a shortage of long lived assets in the US economy? And accelerated depreciation was the basis for the double dip leases that were all the rage around and before 2000. But maybe the requirement that the asset has to be in the US will protect them this time. Now that was 2010 and an academic paper. Let’s see what has actually proposed by policy makers – Paul Ryan nonetheless. 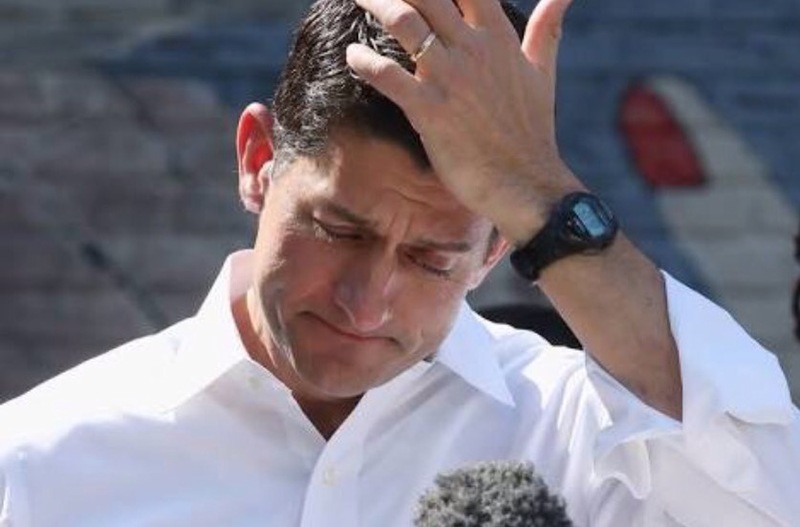 Paul Ryan’s 2016 tax policy allows: full deductions for capital expenditure; repatriation of foreign dividends tax free; ‘border adjustment’ aka taxing imports and exempting exports; ‘streamlining’ subpart F aka CFC rules and denying deductibility for net interest. So pretty much Professor Auerbach’s proposal with a corporate tax cut to 20c and not the foreign bank preference. As a big interest whinger – here, here and here – I am going to be really interested to see how interest denials stay the course. The rest of the proposal looks pretty standard right wing with a bit of foreign bashing with the foreign purchase deduction denial. But denying interest – wow – that is huge. Further than I would go even with a reduced corporate tax rate. But then maybe the interest deductions will flow into foreign countries at the same time the income is flowing out. All the more reason for New Zealand to a make sure we have interest deductions for non- residents properly sorted. Next week’s post promise. In Paul Ryan’s thing there are some spurious references to the WTO and how they are mean to the US – I think that is called doing their job – but no reference to the tax treaty breaches. But the IRS international tax counsel know all about these issues and I hope they are being funded properly – coz buckle up boys – their competent authorities are about to get really busy. Oh and it’s Article 23(3) in the US treaty with China. And the servicing of the US from say Canada and Mexico – don’t know how far drones can fly – pretty sure though it’s higher than the average wall or fence. But that is my bet as to what will happen when imports are denied a tax deduction. Not more tax revenue and not more jobs. And lots of warning for the companies who can start looking at border real estate. Just like the GOP – so very business friendly. Yep. Making America great again – one own goal at a time.